CHECK ENGINE LIGHT ON? 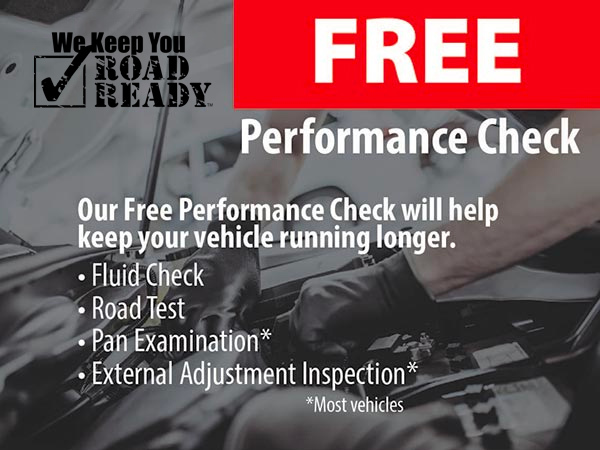 GET A FREE ROAD TEST & CODE CHECK TODAY! J.B. DLCO Transmissions knows that driving the roads of the Warren ~ Detroit area with an active Check Engine light can not only be annoying, but troubling as well. The presence of a Check Engine light can indicate something as simple as a loose gas cap or as serious as a malfunctioning catalytic converter. At J.B. DLCO Transmissions we will inspect your Check Engine light problem at absolutely no cost to you. Visual inspection, retrieval, and reporting on check engine light trouble codes are complimentary. Additional diagnostic may be recommended and subsequent charges may apply. This offer may not apply to vehicles manufactured prior to 1995 and this offer can not be combined with any other discount or special offered at J.B. DLCO Transmissions. Offer is limited to one per customer. Since 1967, J.B. DLCO Transmissions & Multistate Transmissions has been family owned and operated. We are known as the go to Auto Repair Center when it comes to Transmission Repair and Automotive Repairs. Transmissions are the most complicated system in your car and our technicians have the experience, knowledge and expertise to diagnose and repair this system. Everyone depends on their vehicle and you can depend on us. Multistate Transmission - JBDLCO - Warren, MI will make sure your vehicle is dependable and running the way you expect. Come to us for any of your Transmission or Automotive Issues. Going to the dealership can not only be time consuming but could end up being costly on general repairs. Multistate Transmission & J.B. DLCO can perform factory-recommended maintenance and repairs without voiding your new car warranty, making us a cost effective and convenient alternative. Before you head to the dealership for your next factory-scheduled maintenance, schedule an appointment with our professionals. "Just a short note to say thank you for honest technicians at J.B. DLCO Transmissions for fixing my car at a very reasonable rate. I am afraid some technicians would have replaced the whole transmission and I would not have known the difference. It is good to know there are a few people like you, who still have a good transmission shop run by good people who care about their fellow man. God bless J.B. DLCO Transmissions and Auto Repair shop. I will tell others of the good treatment and outstanding work your team did on my vehicle." The team at Multistate Transmission & J.B. DLCO attends many technical and management seminars each year to keep up on the changes in this growing industry. Most recently we attended our industry's annual transmission conference in which provided us with four days of the most up-to-date technical and management training. Equipped with the latest information, our goal is to provide you with the same quality in parts and workmanship that we would require on our own vehicles. As a Detroit area ATRA transmission shop, Multistate Transmission - JBDLCO - Warren, MI is able to offer The ATRA Golden Rule Warranty to our customers. The Golden Rule Warranty is a nationwide warranty protection plan issued and serviced by authorized ATRA members in good standing like Multistate Transmission - JBDLCO - Warren, MI. ATRA is the largest network of automatic transmission repair shops in the world, making the Golden Rule warranty the most widely accepted warranty of any chain or franchise.